You’re excited to be heading to that exotic travel adventure, but to a happy time. It’s wise to invest a bit of time upfront before departing on your trip. Follow this travel tips to ensure that your finances are in order. You’ve packed appropriately, and your travel plans will go off without a hitch. Make sure your passport and visa are up to date. Most countries require that your passport be valid for six months after your return date. Check the expiration date of your passport now, and if you need to renew. Please check your Department of State’s website to find your nearest passport facility. The State Department’s Country Specific Information to learn essential facts about your destination, such as whether you need a visa and where to get it. Other important details on crime, unusual circumstances, medical information and more. Make a photocopy of the information page of your passport and the visa page(s) for your destination(s). Pack them separately from your passport. Check for travel warnings and advisories. Find out whether the Embassy or Consulate has issued a travel warning, for countries where long-term issues create a risky environment for travelers, or a travel alert, for countries with short-term conditions that may pose a threat to travelers, for your destination. Many travel insurance policies will not cover travel to countries that are under travel warnings. Pre-planning for vacation: Research your destination. Getting familiar with what to expect regarding climate, culture, and language will better prepare you and make the world of a difference in your travel experience! It’s always a good idea to purchase a travel guidebook for all your destinations; having it handy while you’re traveling is a must! Last, but not least, purchase travel insurance with comprehensive coverage. If you have pre-existing illnesses, make sure your insurance covers those as well. Pre-trip medical check-ups: Consult with your doctor for a complete medical check-up. It is especially important if you have a history of heart problems. You have recently undergone surgery, or if you have any chronic health conditions. Please discuss with your doctor any health concerns you may have and inform him/her of where your travels are taking you. Your doctor may provide helpful ‘food avoidance’ advice if you are traveling to an area of the world that has a common type of food that does not sit well with one’s health problems! Your destination will also dictate what vaccinations you should be given. Pack more than enough medicine to last your trip, as it may be difficult to get your prescription filled abroad. Trip registration: It’s worth checking for these notices both before you book a trip and just before you depart. You should also enroll in your State Department or Embassy/Consulate, which makes it easier for the State Department to assist you in the event of an emergency. Similarly, write down the addresses and phone numbers of embassies or consulates in the destinations you’ll be visiting, in case you need to contact them. Prepare your finances: Before you travel aboard, Call your bank and let them know that you will be overseas. So your funds do not get canceled while you are on travel. Your bank will also be able to advise whether your bank card/credit card will work where you are going. It’s best to take a mixture of money – credit card or debit card, plus cash just in case. If all else fails, have someone you can depend on for an emergency transfer. 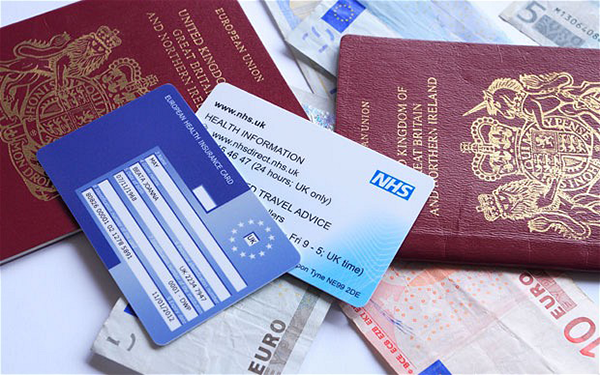 Copies of your Passport, travel insurance policy, emergency phone & card numbers, as well as your ticket details. Leave another set with family or friends too. And it’s also handy to have copies of your itinerary and hotel receipts in one place, just in case. Get all the necessary gear for your electronics. Think all-things-camera. Make sure your memory card/s are big enough (you’ll want to snap everything you see!) and pack power adapter, charger, and extra batteries. There will be times you don’t have access to power & you don’t want your camera dying at Himalaya. Learn key phrases in the local language. Of course, it’s best practice to learn basics like “Hello,” “Thank you,” and “Where is the Taxistand?”, But the more you can say in the local tongue, the better. Carry a phrase book everywhere. It could seriously save your life, or at least keep you from missing a flight. Pack appropriately. Always travel as light as possible but make sure you squeeze in an inflatable pillow, sleeping mask, international power adapters, an extra change of clothes (or undies) in your hand luggage, socks for the plane, baby wipes to freshen up & a lightweight raincoat. Check out our packing list essentials here.